Length about 18 mm. 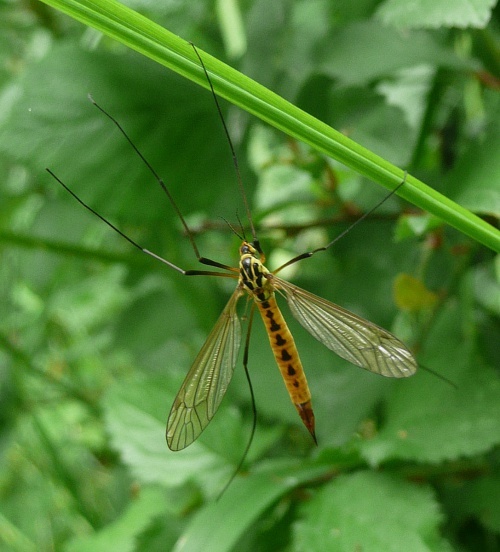 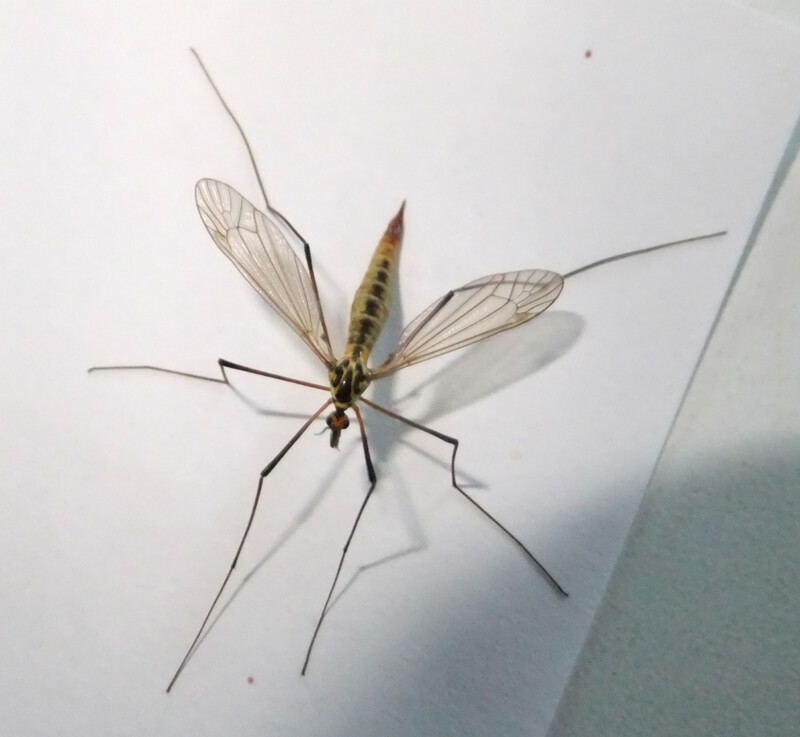 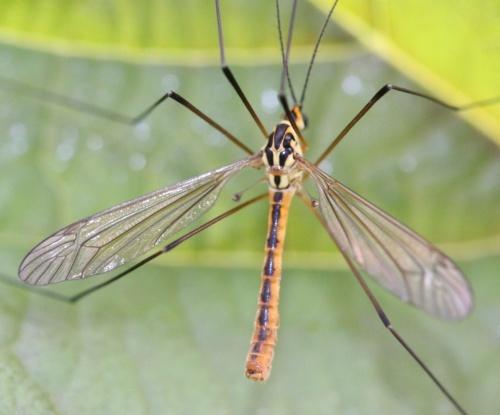 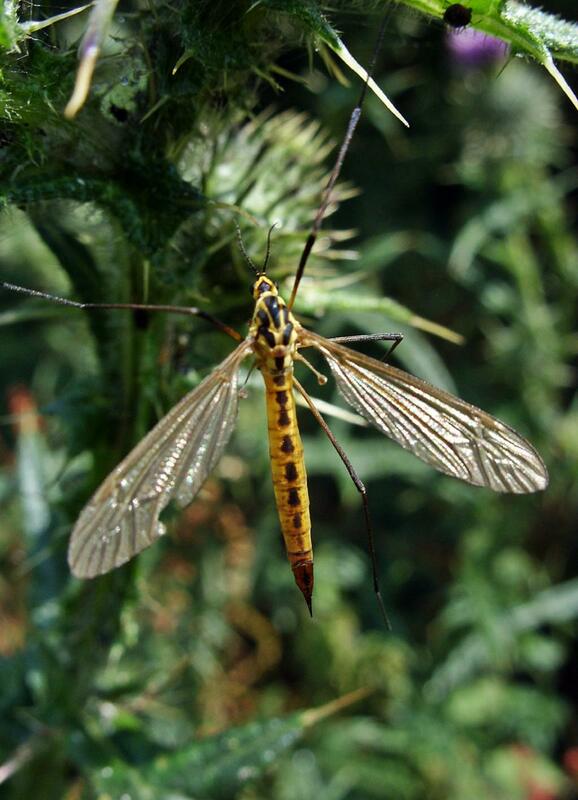 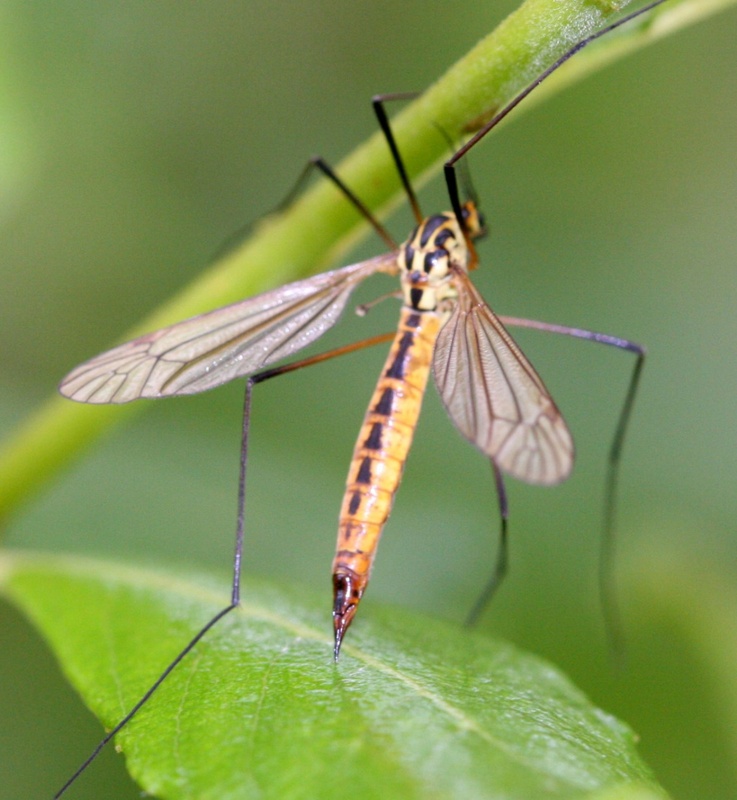 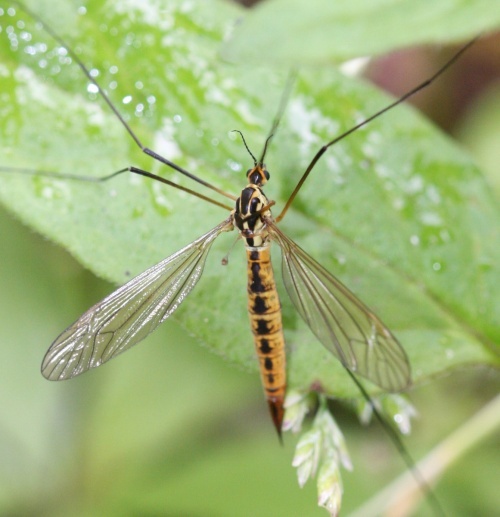 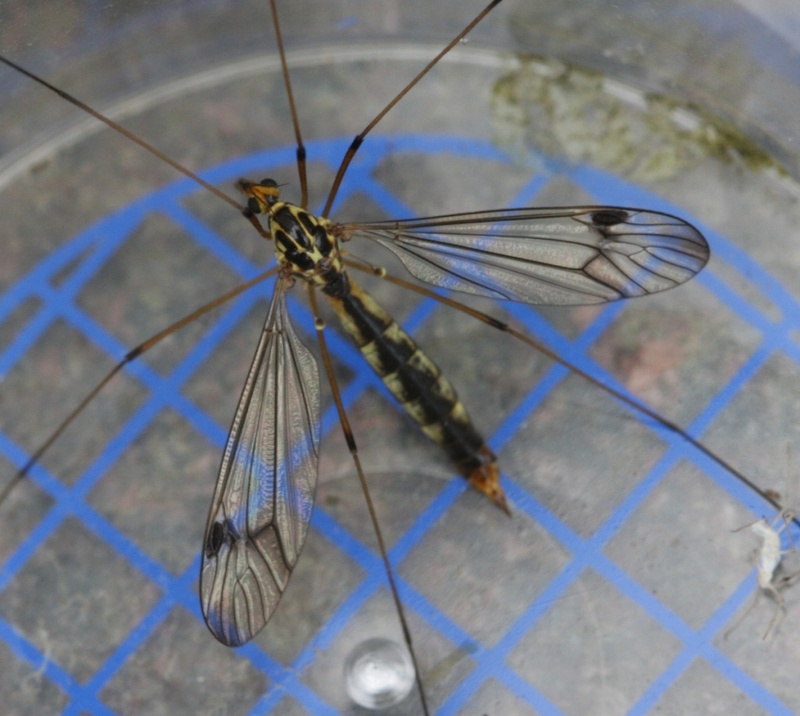 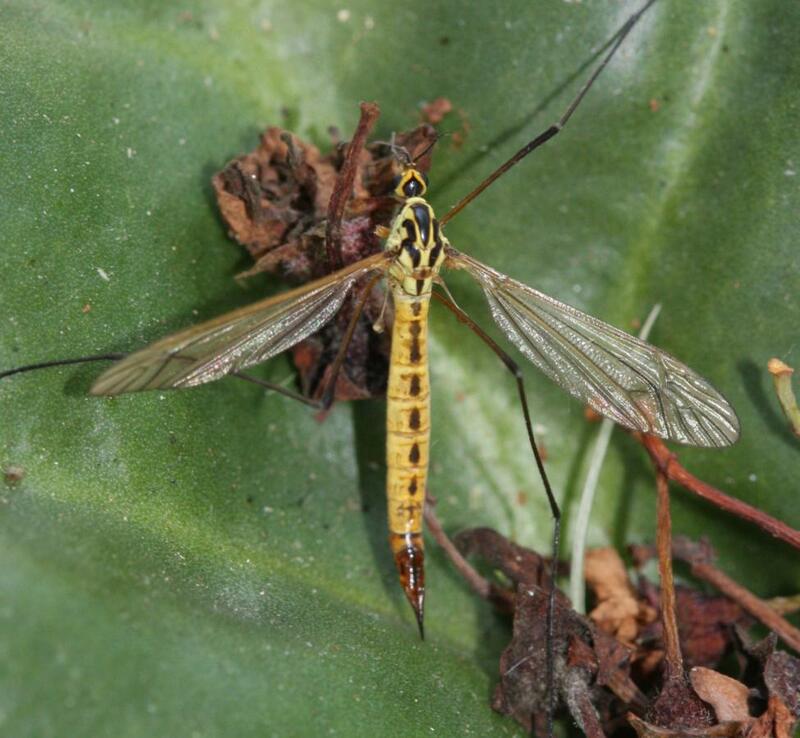 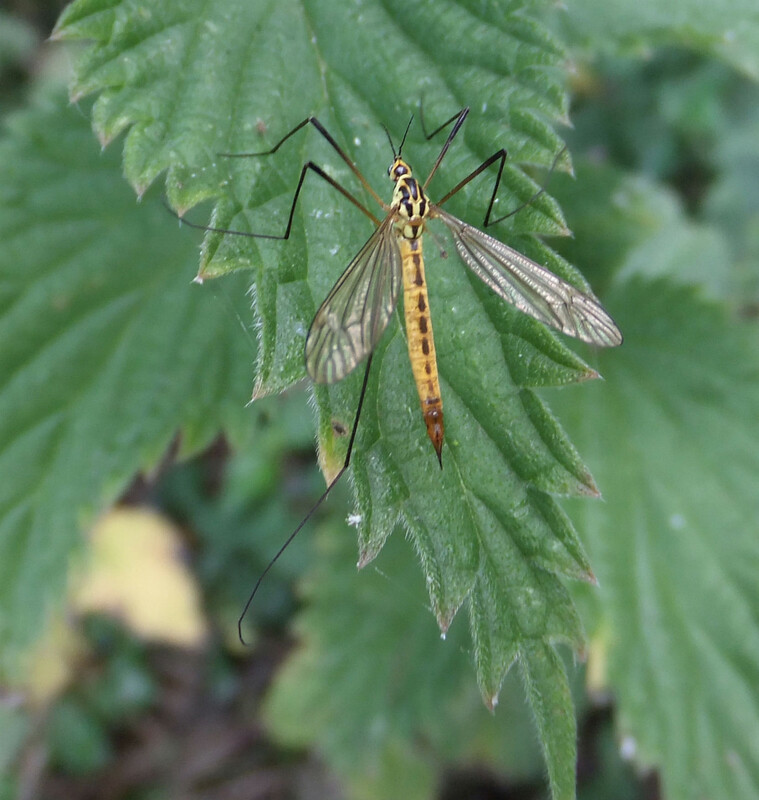 This cranefly has a yellow and black thorax and yellow abdomen with a thin and normally broken black stripe down the centre. Nephrotoma appendiculata has a broader and usually continuous black stripe along the top of the abdomen. N. appendiculata also has a dark horse-shoe mark on the side of the thorax, between the wing base and the haltere, which is missing in N. flavescens. 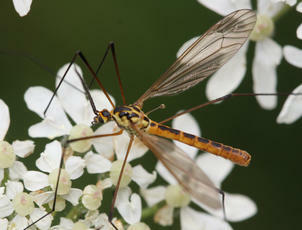 Hedgerows, verges and grassy places. 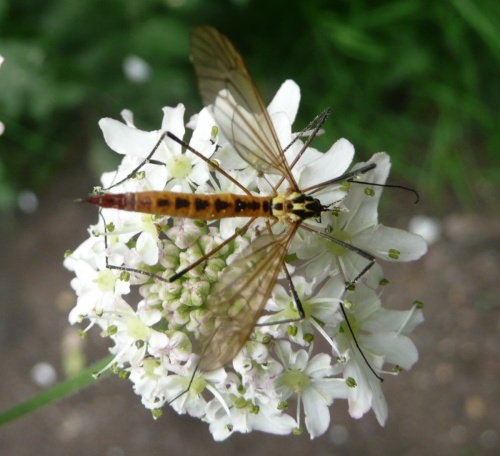 Adults take nectar and pollen from flowers such as Hogweed. 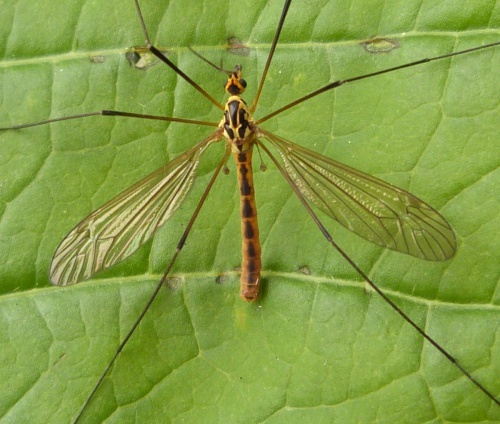 Their larvae are virtually indistinguishable from small Tipula leather-jacket grubs.